How do I return to courses I have started or completed? Come and go as you please, we'll save your place for you. You can leave and come back to complete your course anytime, even after you finish them. Your course progress will be automatically saved. So you can start your courses on the beach, review your course materials on your couch, and take the exams from your desk. Just a heads up, if you start a course test, you need to finish it. Your answers for a test will only be saved if you finish the test! It does not matter how many tests are in the course, because you do not have to complete them all in one sitting. Just make sure to finish one if you start it, and your answers will be recorded. This said, if you don't finish a test, you can always go back and do it again. In fact, you can try a test as many times as you want until you pass. There is no time limit to pass the exam. The only rule is you can't retake a test once you have passed it. 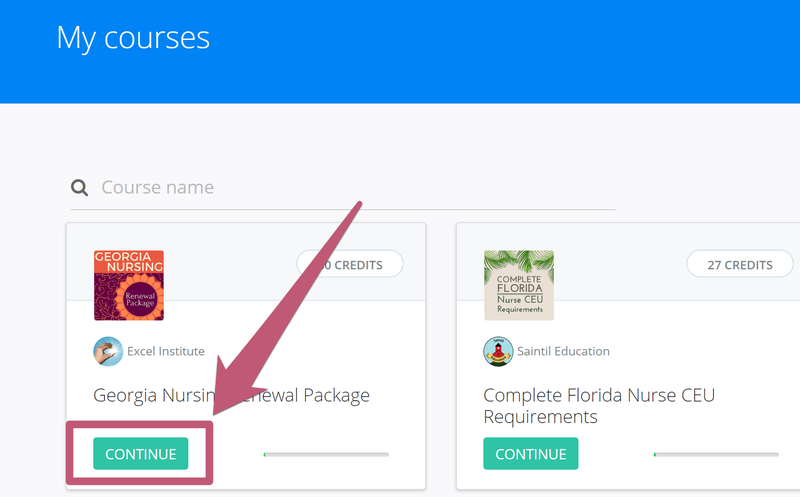 Select the course you want to complete by clicking the green "Continue" button. 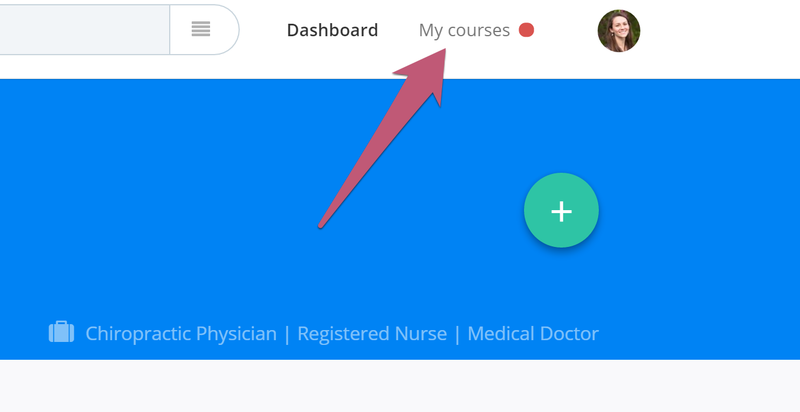 At the bottom of the page, use the "Next Page" and Back buttons to navigate through the course pages. OR, use the menu at the top right of your page to navigate to other pages or to the end of the course to take the test. Once you've reached the test, click on the possible answers, and when you're done click on "Next Page." Once you pass the test, check out your passing percentage. 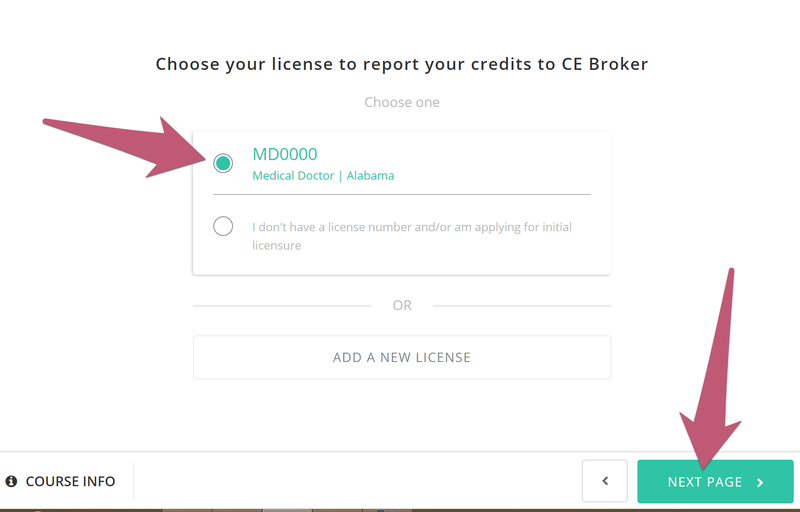 Choose your license to report your credits to CE Broker, or select "I don't have an applicable license." Then click "Next Page." 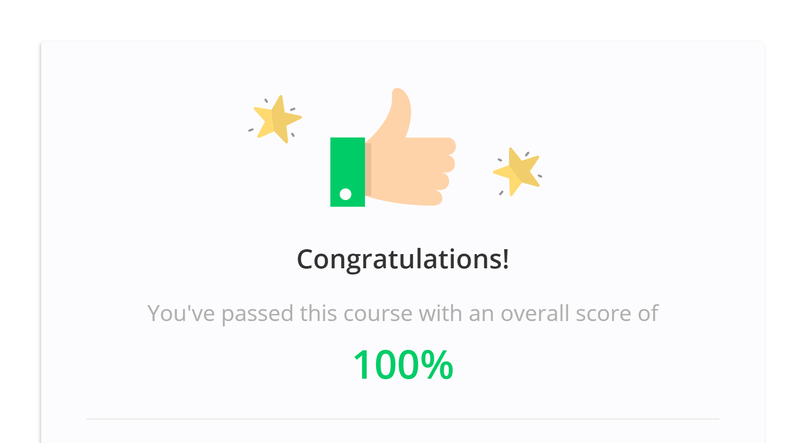 Rate the course by clicking on the stars, and feel free to add an optional statement about the course. We love your feedback! When you're done rating click on "Next page." On this page you can download or print your certificate for your own records. When you're done saving your certificate click "Finish." And there you have it! If you ever need to get back to your course to re-download your certificate check out these instructions.